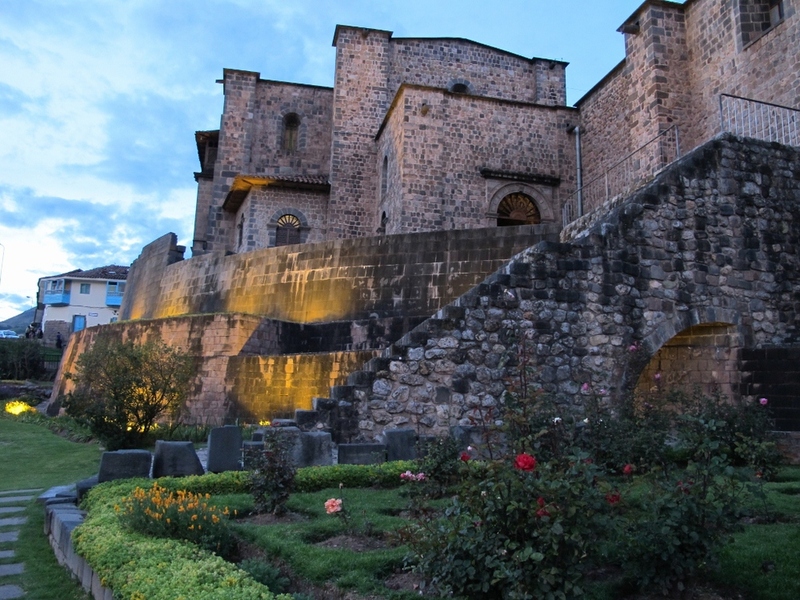 One afternoon we visited The Convent of Santo Domingo or Qorikancha – the Temple of the Sun built by the Incas. This sacred site illustrates the collision of the Andean and European culture. The Spanish built a convent on the top of the temple’s foundations. Today remains four original chambers of the temple within the Convent. A large collection of paintings in the “Cusconian” tradition (catholic subjects in bright colors ornate by nature elements) reflects the influence of the Andean culture under the Spanish invader. 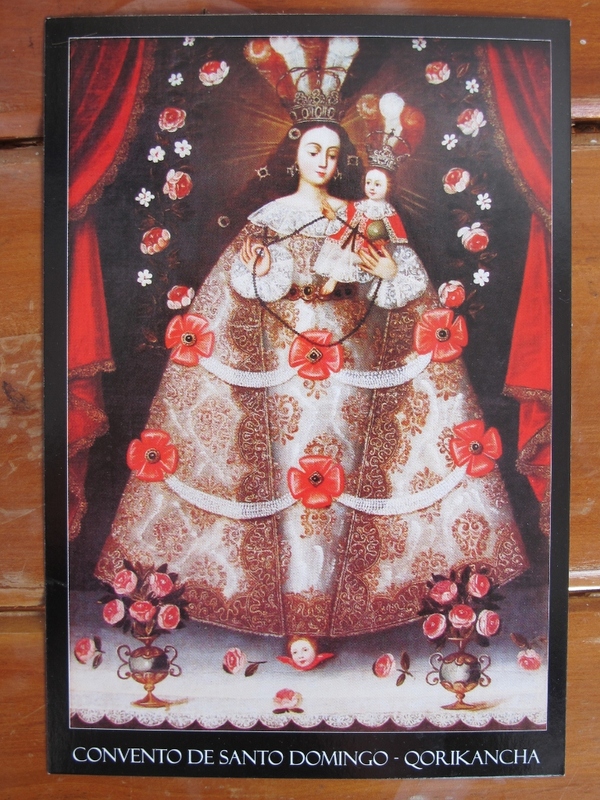 “Virgen del Rosario de Pomata”. Anonymous Cusco artist. 17th century.